For as long as Windows Mobile 6.x overstayed its welcome, Microsoft seems to be doing what it can to launch a full-out assault on the mobile battlefield -- first with Windows Phone 7, and now less than a month later with Kin. As we were reminded ad nauseam at the unveiling, the pair of devices -- dubbed Kin One and Kin Two -- aren't for the tech enthusiasts in the crowd, but rather for a younger audience Microsoft is calling "generation upload." That's apparently a group whose life is focused around capturing memories and updating Facebook, without any care or concern whatsoever for apps. Will Microsoft's gamble for control of the feature phone market prove successful? That remains to be seen, but for everything we know so far, read on! Kin is Microsoft's third concurrently-supported mobile platform after Windows Phone 7 and Windows Mobile 6.5.3, a result of collaborating with the former developers at Danger, whose Sidekick-centric company was picked up by Microsoft in 2008. It's running an entirely new, touchscreen-centric operating system with a self-proclaimed social media slant. There are three main panes: a list of apps on the left, a list of favorites on the right, and a Motoblur-esque page of updates in the middle, dubbed "The Loop" and prioritized by your favorite people and RSS feeds. The browser is custom -- we're told it's based on the Zune's, but it's nothing to write home about. Speaking of which, there's also full support for Zune music and video, but at this point, no games. Mac users can also take solace in knowing there'll be sideloading software for adding non-DRM'd music to the phone. Sharing is a big push for Kin, and you can easily send contact information, Bing directions, webpage clippings, and the like to your friends by dragging content to "The Spot," that omnipresent green dot at the bottom of the Kin's screen. All messages, pictures, and video are uploaded automatically to the cloud and accessible via the Kin Studio website. 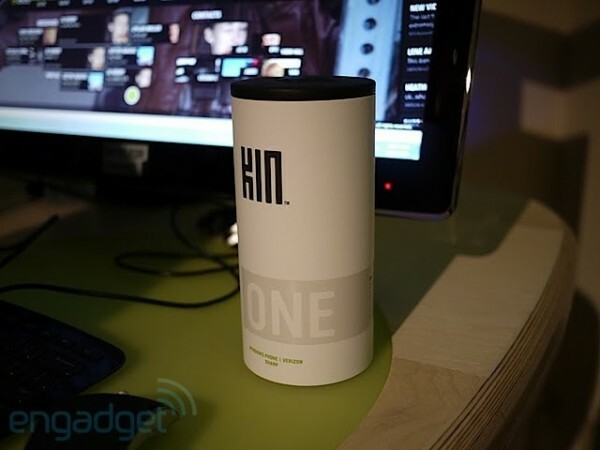 There are two devices for launch, aptly titled Kin One and Kin Two. Both are sliders with full QWERTY support, with the former leaning towards more one-handed use and other with a decidedly larger keyboard. Both are coming to Verizon Wireless in May and Vodafone in the Fall. Prices and data plan fees have yet to be disclosed. When we first caught wind of Microsoft Kin is largely a matter of perspective. Arguably the fun began in February 2008 when Microsoft bought Danger and placed the Sidekick makers into its own division dubbed the Premium Mobile Experiences (PMX), but looking farther back, rumors of a "Zune phone" go as far back as the Zune itself in 2006 (it was repeatedly denied, of course). As far as we can tell, the first public reference to Project Pink -- the codename for what would become Kin -- would be just after the acquisition was finalized in May 2008 from Mary Jo Foley and her infamous well-placed sources, then called a "set of consumer-focused 'premium mobile services.'" A Tegra processor was added to the rumor by November and the idea of "an entire software and service platform" with Zune support just a month later. A Mobile World Congress debut (February 2009) was pegged as a possibility, and obviously that didn't happen. Cut to April 2009, where after a brief absence, Project Pink pops up in the Wall Street Journal. In retrospect, the details weren't quite right -- while the folks in Redmond did end up going with Verizon Wireless as its carrier of choice for Kin (here inferred as only one device), and hardware was designed in-house and manufactured by a third party, that part about it being "likely [to] include Microsoft's new Windows Marketplace" is pretty far and removed from what ultimately debuted. Sharp or Motorola were heard to be the potential hardware vendors as of July 1st, along with talk that we'd be seeing a Microsoft branded device, which was a pretty crazy thought at the time given Microsoft's repeated denial and how Windows Mobile's business had been structured historically. 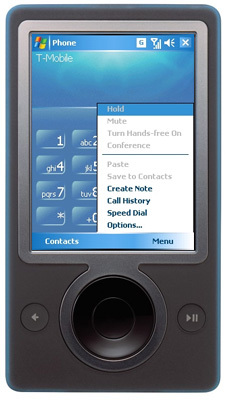 "Turtle" and "Pure" -- which would later be known as Kin One and Kin Two, respectively -- were slider phones unearthed care of 9to5Mac's sources from September 2009. The manufacturer of choice was to be good ol' Hiptop ODM Sharp and the branding shared, i.e. "Microsoft+Sharp." Also on the docket? "Tight app store support." Mary Jo Foley chimed in to say that the pair would likely make a debut at CES 2010 but not released to the public until Windows Phone 7 (still called Windows Mobile 7 at the time) was ready. 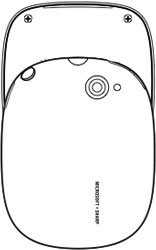 By the end of September 2009 we had gotten quite an eyeful of Pure and Turtle renders, which later proved to be spot on, and our first inclination that Pink was to be "Microsoft's new phone for regular people... primarily aimed at the same market as the Sidekick." 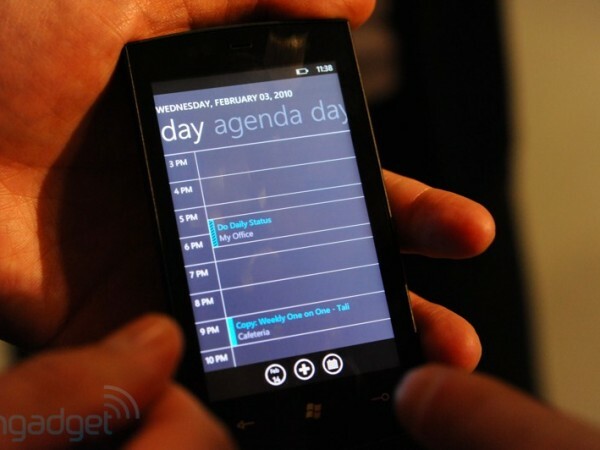 CES 2010 came and went with nary a peep from Project Pink, and Microsoft seemed quite resigned to quietly show off Windows Mobile 6.5.3 while LG rather bluntly asserted that Windows Mobile 7 was coming this year. Later in January, we finally picked up on the Danger's Twitter hashtag #tmdp, which as it turns out stood for "Truly Madly Deeply Pink," a slogan reportedly thrown around the offices and later used in the unveiling presentation. Things moved rather quickly after that: reaffirmations to the teen target demographic and a Pure / Turtle sighting in Zune firmware code for the remainder of January, followed by a pair of FCC leaks for PB10ZU (Turtle) and PB20ZU (Pure) in February. Firmware was obtained and subsequently hacked, revealing some defined specs and Lion and Pride, names apparently attached to the Verizon-bound CDMA variants (according to this code, Pure and Turtle are for the GSM crowd). March 2009 began with a bang -- two in the wild shots of Pure and a suspected April 20th date -- and then nothing was spoken until April's surprise, snail-mailed invitation. The home stretch involved some teasing on Verizon's part -- ditto for SanDisk, although they led us quite a bit astray, considering the lack of support for expandable storage -- and finally one shot of Turtle in the wild. It wasn't until the day of the unveiling did we get hint at a name change, with special thanks to VZW's database for providing the Kin One / Kin Two hints. The rest, as they say, is history -- for Microsoft, at any rate. If Danger made waves in the cell phone marketplace with its hip, happening swivel-phones, the company had Sharp to thank -- that Japanese manufacturer's been rolling out T-Mobile Sidekicks non-stop since 2004. Fittingly, Microsoft kept Sharp in its employ to develop Kin. But though both Kin devices are obviously designed to appeal to the same texting, social crowd that made the Sidekick such a success, the nearly final Kin devices look and feel nothing like Sidekick, or for that matter, each other. Gone are the trackballs, D-pad speakers, rubbery five-row keyboards and rotating displays of yesteryear; here, each phone is a solid, snappy little slider with a capactive multitouch screen and a single silver home button adorning the glossy black bezel. 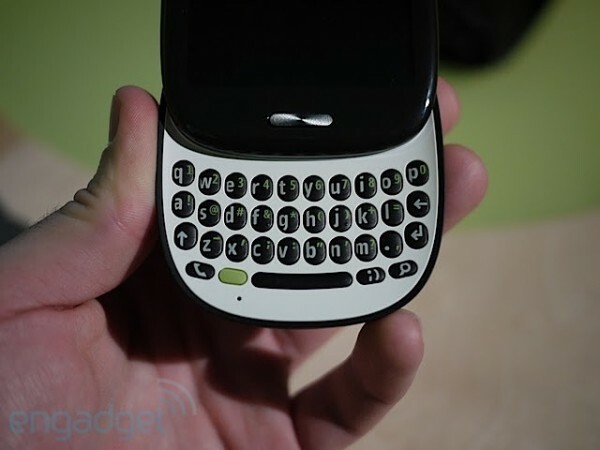 With a firm press at the bottom edge of the screen, it slides out to reveal a well-hidden but very tactile four-row QWERTY with large, round plastic buttons similar to those on the Palm Pre. Each keyboard has dedicated search, call and emoticon buttons (yes, you read that right), and the outside of each device sports dedicated volume and power buttons, a 3.5mm headphone jack, a microUSB port for charging and sync. Special priority is given to the Kin's rear-facing camera, which has a dedicated two-stage metallic shutter button and an LED flash that Microsoft says is brighter than anything else on the market. That about covers the similarities; now, let's talk differences. Where the Kin Two appears to be your average black, landscape smartphone, the Kin One is the black sheep of the entire cellphone world, a curved square contraption that looks too small to have a usable touchscreen. The thing is, every Engadget editor who got hand-on both devices far preferred the latter. The Kin One fit perfectly into the palm of our hand such that we could operate every control and type without switching hands or greatly changing finger position, and the vertical keyboard is spaced well enough for two-handed typing to boot. By contrast, the Kin Two is still a solid device, but requires two hands for any action involving the hardware buttons and has a staggered keyboard layout that may take getting used to. Even though we'll surely have full teardowns in a month's time, Redmond's still being coy about exact specs -- but we do know the underlying silicon shares a... familial bond with that inside Zune HD, and as such you'll get an NVIDIA Tegra chip and an FM tuner in addition to AGPS, 802.11 b/g WiFi, Bluetooth 2.1, and EV-DO Rev A radios. Microsoft differentiates the two Kin by raw numbers; expect 4GB of storage, a 2.6-inch, 320 x 240 display and a 5 megapixel camera on the One, and 8GB, a 3.4-inch, 480 x 320 screen and an 8 megapixel, 720p shooter on the Two. Batteries are similarly sized at 1240 mAh and 1390 mAh respectively, with Microsoft promising a whole weekend's worth of charge on either. Both devices appear to come with a tiny AC > 5V USB adapter, and a four-pole stereo earbud headset with inline control. Oh, and just in case you're still wondering -- the Kin does not support microSD. Though most of its user interface is totally new, the Kin runs an operating system based on many of the same components that underpin Windows Phone 7 and the Zune HD. That commonality starts with the kernel -- Windows CE 6 -- which represents a significantly more powerful core than the CE 5-based core found in Windows Mobile 6.x; most importantly, CE 6 increases the limit on the total number of simultaneous processes from 32 to 32,768 and boosts total addressable memory per process from 32MB to 1GB, so it's far better-equipped to take advantage of modern devices and media-rich UIs. Also common between the three platforms is something Microsoft's calling "the Zune experience," which is really just a tagline associated with the Zune look and feel for the music management and playback features of the devices. Sure enough, if you open the music player on a Kin, it looks exactly like a Zune HD -- and thanks to the capacitive touchscreen, you can interact with it in exactly the same way, too (granted, it feels a little different on the Kin One's smaller QVGA display, but the end result is the same). Microsoft's all-you-can-eat Zune Pass service is supported with streaming over both WiFi and Verizon's 3G network, though the company has told us that some tracks will have to be downloaded before they can be played. Zune apps, however, are not supported, despite the fact that the Kin devices are very similar to the Zune HD on a hardware level and would almost certainly be able to run them without performance concerns. As for software elements that are completely unique to the Kin, the list is long. Microsoft is quick to note that the user experience is identical between the One and Two -- even though they have distinctly different form factors, all of the specs related to software performance are the same across both models, so it's really just a question of whether you want one-handed operation with the One or two-handed operation with the Two coupled with a larger, higher-resolution display. 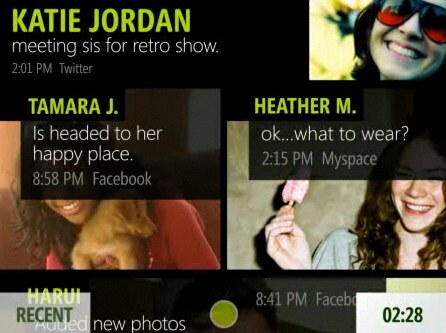 Kin's user interface is best described as having a "comic book" feel to it with a limited color palette, blocky, chunky text, and oversized, zoomed-in images -- it's stylish, but in a very different way than the spartan "Metro" design DNA that Microsoft is baking into Windows Phone 7. The screen that users will be drawn to most frequently -- the home screen, if you will -- is The Loop, a near-real-time aggregation of social network status updates, images, and RSS feed items culled from the user's contacts, media, and settings. The Loop is updated automatically every 15 minutes (which isn't adjustable), though it can be manually forced to refresh as well. The intriguing thing about The Loop is that the prioritization of the content that the user sees is driven directly by the way the user prioritizes their contacts. 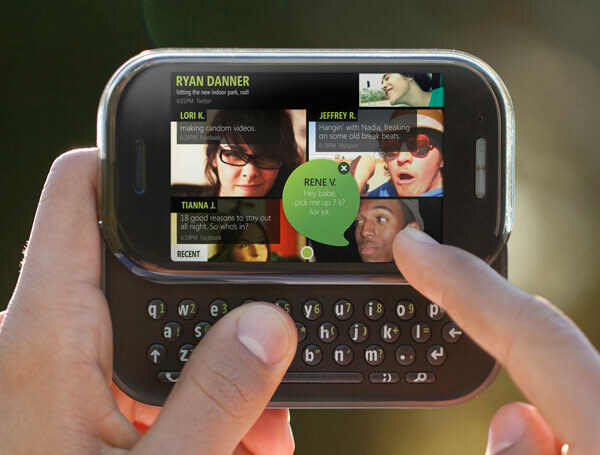 As with The Loop (and most of the remainder of the Kin's UI, for that matter), contacts are presented as a comic book-style grid that can be managed with a two-finger tap gesture. More prominently-placed tiles in the phone's contacts manager have their published content (status updates, for instance) appear more frequently on the screen. Contacts can be given additional prioritization by specifying them as favorites (by tapping the "heart" icon in the contact's tile), which also adds them to the favorites screen that can be accessed by swiping your finger. The idea behind the prioritization, says Microsoft, is that users typically have multiple categories of friends on Facebook, Twitter, and other services; acquaintances and friends of friends that you might not care to hear from very often, and your inner circle -- your BFFs, as it were -- from whom you want to hear everything they've got to say. The Spot is another of Kin's big differentiators, and the name is totally appropriate: it's literally a small spot that appears at the bottom of the Kin's screen at all times. The idea is that you can hold and drag just about any content on the phone -- places, web pages, pictures, people -- to The Spot (a dark circle appears in the center when it's holding content), and then tap it to send the content on to your friends via the service of your choice. As you're dragging content to The Spot, it turns into a crooked thumbnail to let you know that you're in drag mode. It's a genuinely unique concept, and considering that you can drag almost anything you see on the phone to it, it works quite well -- assuming you spend a lot of time sending rich content from your phone to your friends. The Kin's on-device software is only part of the puzzle, though; on the desktop, you use the standard Zune software to manage your music and video, and a Silverlight-based site called Kin Studio to manage pretty much everything else. For Mac users, Microsoft is also developing a substitute for the Zune client that won't enable Zune store purchases but will allow sideloading of non-DRM content, including a direct hook into iTunes. Kin Studio mimics many of the user experience paradigms of the Kin's on-device software, including access to The Spot and a live connection to your social networks that allows you to send out unified status updates from your browser. Microsoft is touting Kin as featuring a "bottomless" bucket of storage for pictures and videos that you take with the phone, all of which are uploaded continuously in the background as you take them (over both WiFi and Verizon's network). As soon as the uploads are complete, the content becomes viewable (and downloadable) in Kin Studio using a highly-stylized interface consisting of a mishmash of randomly-sized photo tiles on the screen and a scrollable timeline that allows you to filter your photos and videos by date. All of the content is available on your phone as long as you've got a data connection -- regardless of the amount of storage available on the device -- because it pulls down thumbnails as you scroll through your gallery and requests the full-size images in real time as you tap on them. It's a slick setup that allows you to save space for music tracks, and more importantly, you never need to worry about losing your shots if you lose or upgrade your phone. The Studio offers access to The Loop and keeps track of your contacts and social networks, so you can move between Kin devices and transfer all of your data using nothing more than a Windows Live login. The most notable thing about Microsoft's partners for the Kin launch was how few they were in number. Hardware and software both were conceived internally, and Redmond's mum on whether we should expect any third-party software down the road, even sponsored à la Pandora on Windows Phone 7 -- we were told point-blank there was no SDK. Though hackers and FCC filings originally caused us to expect Project Pink to arrive in both GSM and CDMA varieties, Verizon began internal horn tootage a day before Kin's announcement, and sure enough, Kin will be exclusive to Verizon in the US when the phones launch in May. Come Fall, Europe will get their Kins courtesy Vodafone, which has a similarly exclusive contract. We heard no plans to bring Kin to any other territory, and Microsoft Singapore has explicitly said that the Kin is not currently intended for Asia, despite several Vodafone subsidiaries based there. Knowing where and when you can get one, the big question is price. What kind of service plan will Verizon, Vodafone and Microsoft cook up to provide the Kin's always-on cloud storage, and how much will you have to pay for it? We're not certain, but we have some idea. Placeholder text in a leaked, cached version of the official Kin website suggests that Verizon may offer a tiered set of Kin phone plans that include minutes, text messages and data all in the same package, even as it hints that Kin Studio (where your data is uploaded and stored) may cost extra. Besides, instant messaging is non-existent, and notifications have up to a fifteen minute delay. All in all, it looks like Microsoft may be trying to divorce Kin users from the pricy, all-you-can-eat smartphone data buffet, and hopefully, carriers will pass on the savings to end-users and price those phone plans accordingly. Calendar. Although Kin can connect to Exchange servers, it's just for email -- there's no appointment calendar on the phone (or in the Studio) whatsoever. As a substitute, the phone can set multiple alarms with notes linked to each; for example, you could input a dentist appointment for Thursday by setting an alarm for a half hour before it with a note that says "Dentist Appointment." That works for the occasional meeting, but needless to say, anyone with a busy schedule day to day isn't going to be able to use the Kin as their only device. Instant messaging. This is a strange one, but for whatever reason, Microsoft has elected to leave out any form of IM (even its own Windows Live Messenger) on the Kin. That seems like a pretty critical item for a generation of phone users hooked on features like BlackBerry's BBM. Third-party apps. As much technology as Kin shares with Windows Phone 7 and Zune -- and as much emphasis as Microsoft generally places on its developer ecosystem -- they're keeping Kin completely closed for now. We've heard a number of Microsoft spokespeople insinuate that there could be opportunities in the future for devs that take advantage of the Silverlight-based framework that has already been established for Windows Phone 7, but there won't be anything at or near launch; in the short term, any new capabilities will come from inside Microsoft via over-the-air updates. Full Mac support. It's good that Microsoft is developing a "lite" Mac client that'll allow non-DRM music and video sideloading, but this would've been a great opportunity to roll out a full Zune installation for Mac OS; as of now, there's no indication that it'll happen any time soon, if at all. Final thoughts / who is this for? Kin One and Two first hands-on! Microsoft claims the impetus of Kin was Project Muse, an outreach program of sorts that asked thousands upon thousands of teens what they use their phones for -- a giant focus group, essentially. We're not of that generation, and even if we were, our tech enthusiast predilections would probably veer us towards smartphones. The teens we do know, however, are much of the same way -- they aspire for smartphones, they settle for feature phones. It's hard to know for sure if that's Microsoft's plan, but the sheer number of phones sold in that category is pretty large, and if Microsoft can grab onto that admittedly profitable market, settling may not be so bad after all. Sean Hollister and Chris Ziegler contributed to this piece.